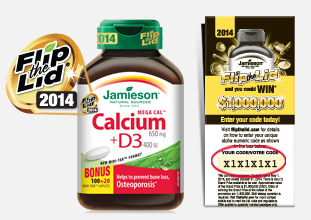 In 2014 Jamieson, a brand of various vitamins, has started a contest with the grand prize of $1,000,000. The Flip the Lid contest is ending soon: on October 31, 2014. Participate before that date to run a chance to win the grand prize! 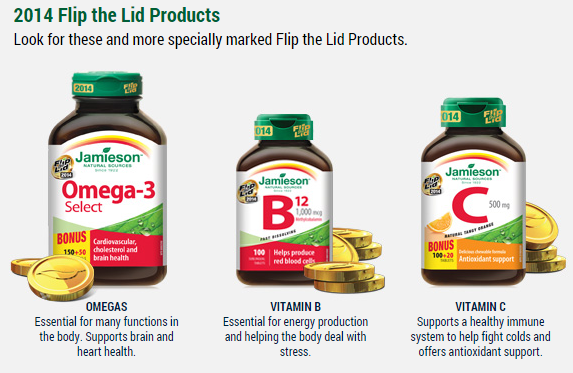 Jamieson Flip the Lid product. See the list here. Look for your alphanumeric code on the Game Card located inside a 2014-marked product. Enter your alphanumeric code and information below to be entered into the contest. For all the eligible Flip the Lid products go to to FlipTheLid.com.